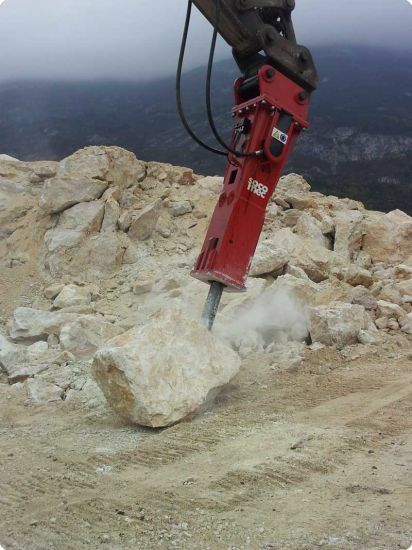 The DMS range is built in a single monobloc structure without tie rods; this makes them more secure and reliable than traditional hammers, in case of breakage they are also very simple and economical to maintain. Two vulcanized polyurethane shells insulate the monoblock from the carpentry, reducing noise and vibrations. The MDO series is equipped with an innovative patented tightening system, which gives it greater elasticity, strength and durability. 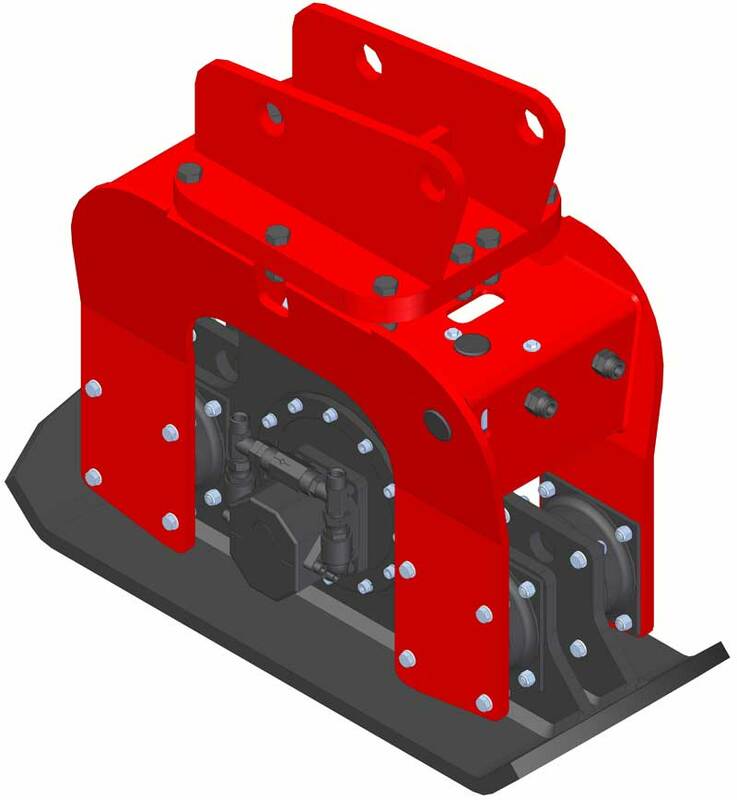 Like the DMS the MDOs maintain the exclusivity of being able to remove the piston and guide bushes without having to loosen the tie rods. 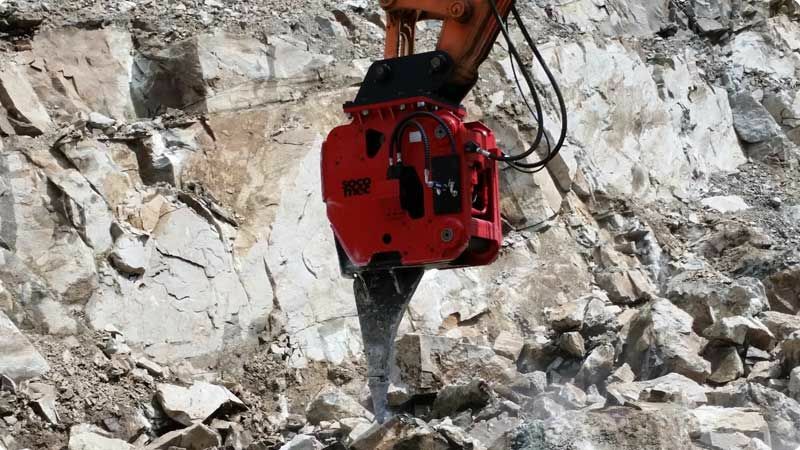 An innovative technology with low acoustic impact, high performance in the demolition of materials of medium-low hardness (gypsum, limestone, slate …) all of which overcomes the demolition hammers of the same class in productivity. 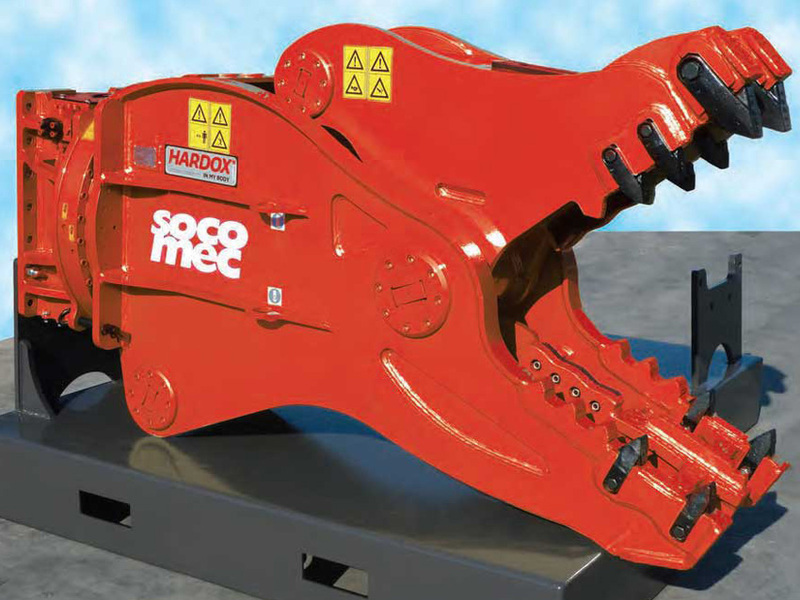 The extremely simple and compact design minimizes the probability of maintenance work, while the only part of wear, the tip of the tooth is easily replaceable. 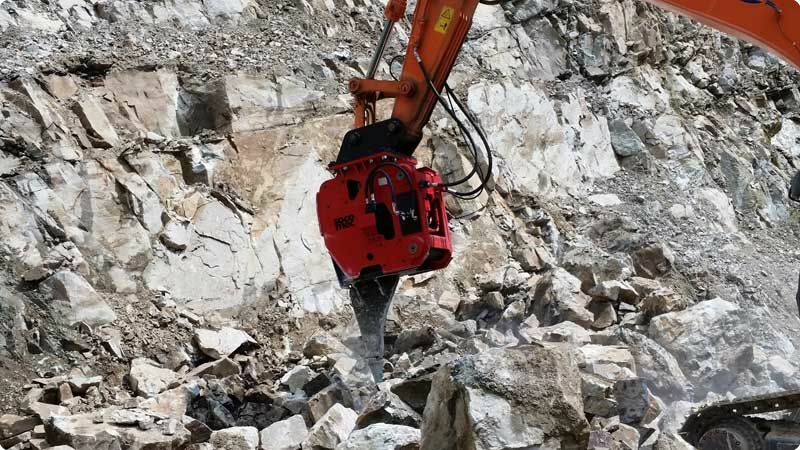 The PDO primary demolition pliers are equipped with interchangeable teeth and strong blades for cutting reinforcement rods. 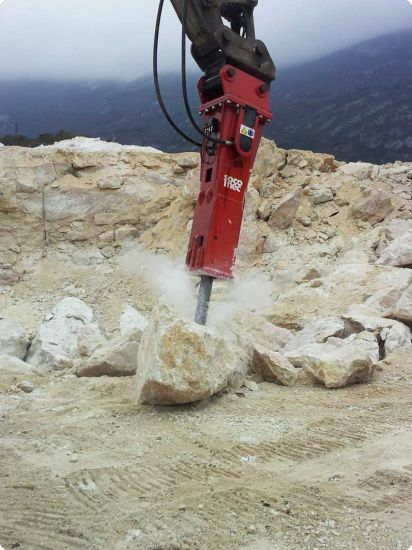 All models are equipped with throttle valves to increase the opening speed and safety valves. 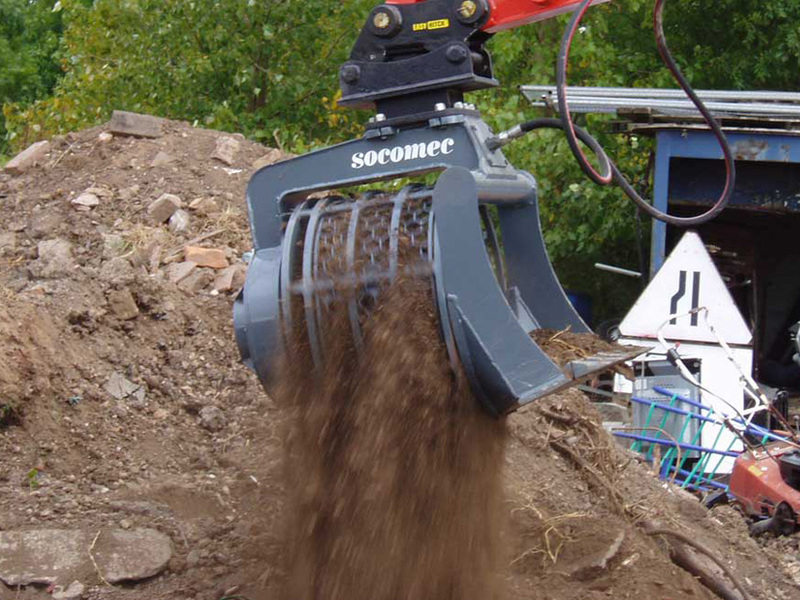 SFG Swivel Crushers have technical and structural features that allow primary demolition and are ideal for demolition of reinforcement bars. 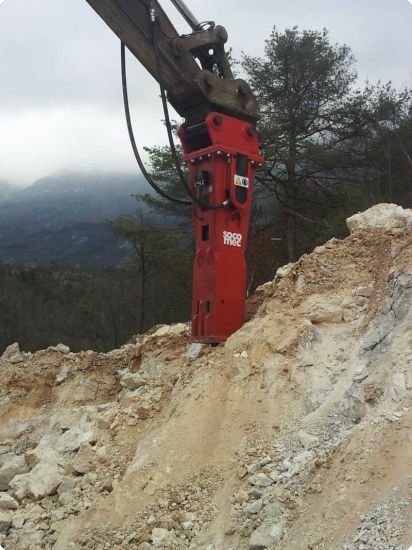 All models are equipped with throttle valves to increase the speed and 360 ° hydraulic rotation. 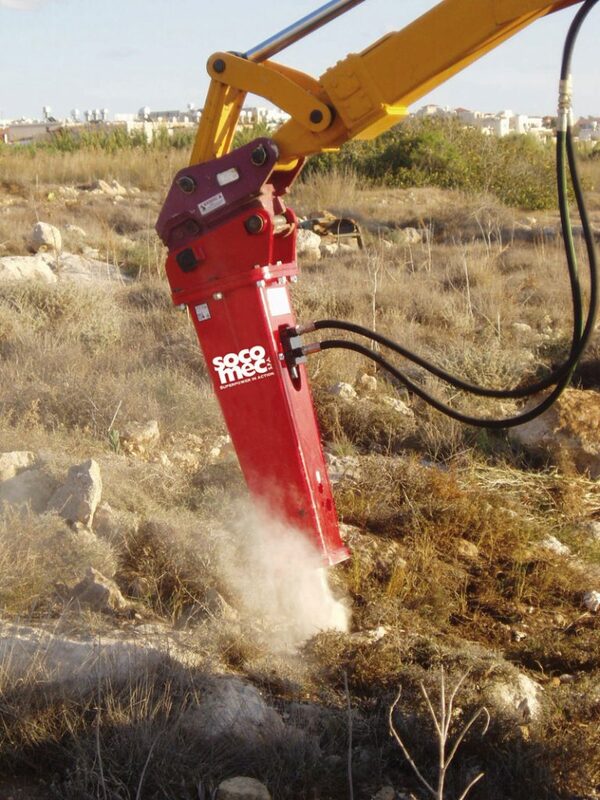 The SPS range of grippers are extremely versatile equipment, suitable for the demolition of unarmed concrete structures, for the recycling, selection and handling of demolished materials. 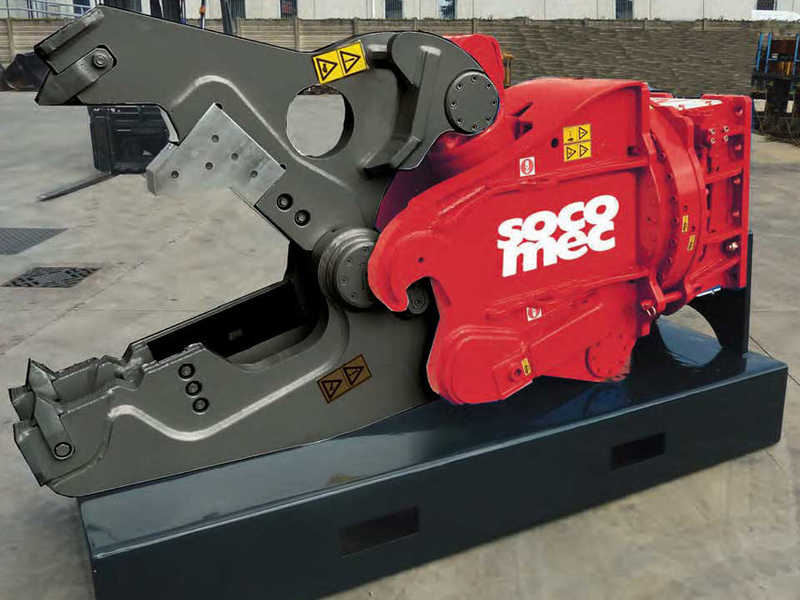 Thanks to its innovative structure, the SOCOMEC MULTI KIT offers the operator the possibility of using a single body to assemble different kits and thus be able to carry out different jobs. 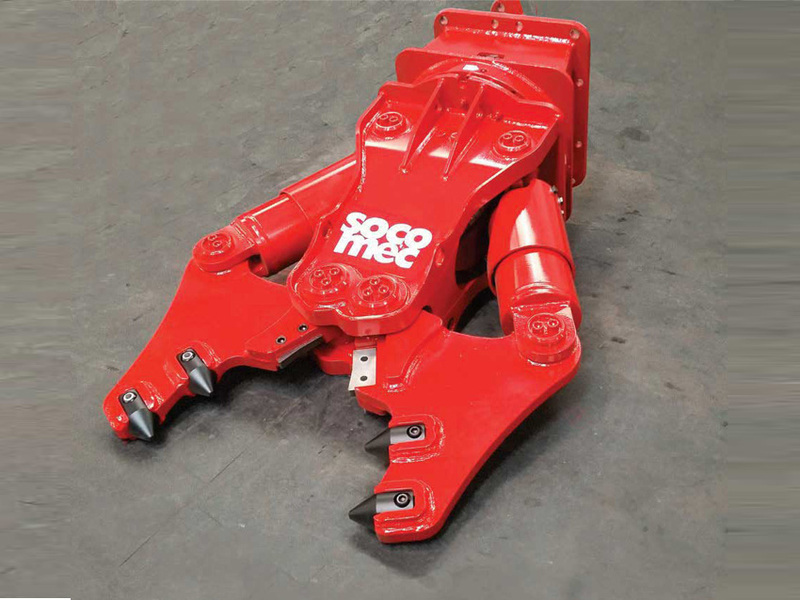 The SOCOMEC MULTI KIT is made up of a universal body that can be combined, according to the needs, different types of claws (crusher, shears, pliers, combi, shears for sheet metal). 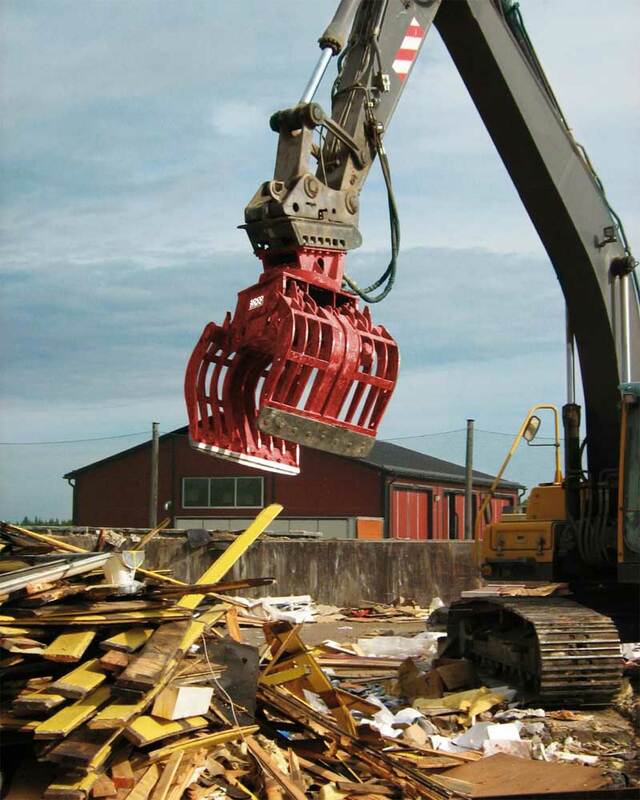 SBV Buckets are ideal for cleaning stony soils, cleaning beaches, dividing and selecting the materials resulting from demolition or excavation and allowing reuse by reducing the costs of disposal and purchase. 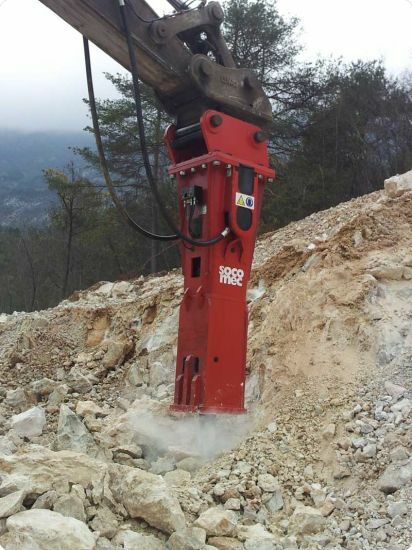 The vibrating plates SPV thanks to the vibration developed by the vibrating element, produce a great work force that allows to efficiently and deeply compact soil, excavations and slopes.